Wydrukuj Fotografie - Sunlight rays pour through leaves in a rainforest. Sunlight rays pour through leaves in a rainforest. 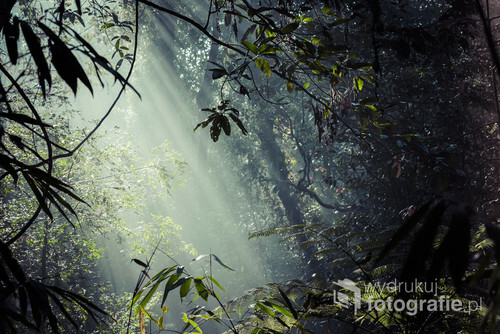 Sunlight rays pour through leaves in a rainforest at Sinharaja Forest Reserve, Sri Lanka.